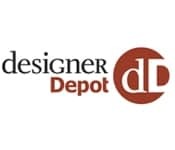 Designer Depot was a division of Canadian retailer HBC. It was created in November 2004, and sold by HBC in April 2008 to the INC Group Of Companies. The first location opened as part of the Vaughan Mills Mall in Vaughan, Ontario. It was a large department store that sold designer brand names at prices 25–60% below regular department and specialty store prices.